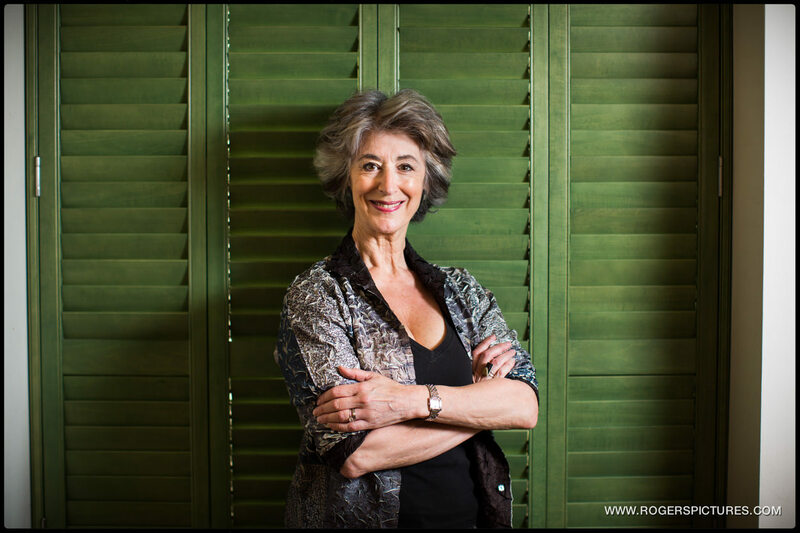 This was a short portrait session with actress Maureen Lipman to accompany an interview in the T2 section of The Times newspaper. The interview had already been conducted, you can see it here, so I had less time constraints than usual, where I’m given 2 minutes at the end of an hour long interview. I photographed Maureen in her basement flat in London. It’s a gorgeous victorian house, with fabulous features and some good light. But the style for T2 is to have ‘clean’ uncluttered portraits, all with the subject looking into the lens. 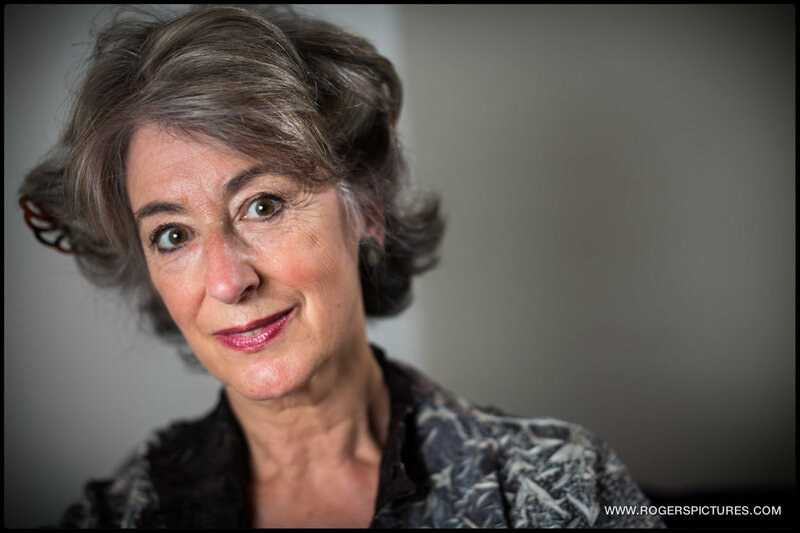 This can be trickier than it sounds – I don’t want a clinical looking portrait against a white wall. But I do want a little bit of context in the portrait without shooting something unusable, style wise. I found a couple of locations in the flat and set up two lights, though only one is used in the above portrait. Maureen was, as you might expect, a pleasure to photograph. A lifetime in front of the camera means she has a natural understanding of light and posture, so all I needed to do was to make sure the composition was tidy, and she was in focus! I shot some uprights with a little headroom in case it was needed for a cover, or syndication. But publication date coincided with the end of the Rolf Harris trial, so that ended up on the front. Here’s a few more from the session, along with the finished article. It’s unfortunate that they decided to use a crop of a wide picture. As she is heavily backlit in this frame, I’ve used pretty hard lighting on her face – a technique that works well when the subject is relatively small in the frame. By cropping in too tight, they’ve not only lost the context but have also made the portrait look incredibly harsh. A shame considering there were plenty of tighter portraits from other locations. What do you think? Here’s some more of my editorial work for The Times.